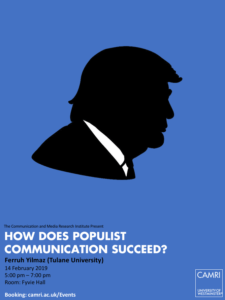 Ferruh Yilmaz (Tulane University, USA) – How Does Populist Communication Succeed? Focusing on the rhetoric of the populist right in Denmark, Ferruh Yilmaz will discuss how elite and media responses can end up confirming the logic of populist rhetoric. The main point is that the media and elite responses, even in their negative coverage (1) respond to crisis provoked by the far-right by accepting their basic premises (i.e. discussing whether immigrants’ cultural practices are a danger to social and national cohesion; (2) by doing so, use the same terms, categories and argumentative premises; (3) contribute to their provocation of crisis and moral panics; (4) and thus open up channels of discourse for the far-right populists who become the main protagonists of the crisis and render them part of the mainstream discourse. Ferruh Yilmaz is currently Associate Professor in the Communication Department at Tulane University, USA. 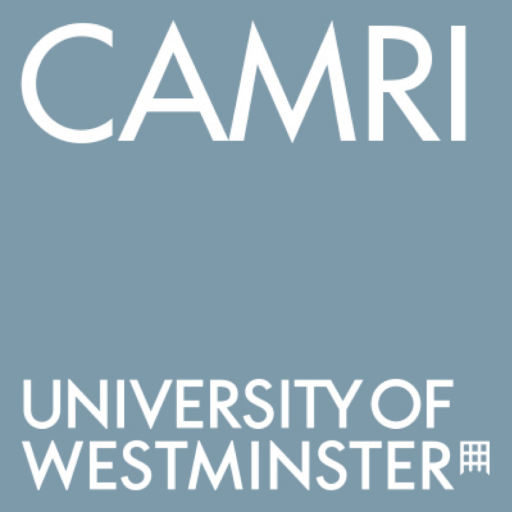 He was a British Academy fellow August 2018 – January 2019. 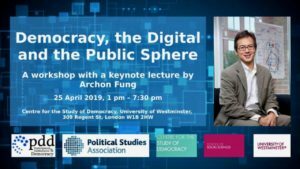 Before becoming an academic, he worked as a journalist for a number of news organisations in Britain, Denmark and Turkey including the BBC World Service and Danish Broadcasting Corporation (DR) and Cumhuriyet (Turkish daily newspaper). He also worked as an information officer at the Board for Ethnic Equality (Denmark) in the late 1990s. His selected publications include ““From Class Solidarity to Cultural Solidarity: Immigration, Crises, and the Populist Right.” In O’Neill, D. and Wayne, M (eds. ): Considering Class: Theory, Culture and Media in the 21st Century. Leiden, NL: Brill (2018), Publishing “How the Workers Became Muslim: Immigration, Culture, and Hegemonic Transformation in Europe”. Ann Arbor, MI: University of Michigan Press (2016); “Analyzing Variations and Stability in Discourse: Hegemony, Nation and Muslim Immigrants”, Journal of Language and Politics 14(6), 2015; “From Immigrant Worker to Muslim Immigrant: Challenges for Feminism”, European Journal of Women’s Studies 22(1), 2015, and “Right-wing Hegemony and Immigration: How the Populist Far-right Achieved Hegemony through the Immigration Debate in Europe”, Current Sociology 60(3), 2012.
class="ai1ec_event-template-default single single-ai1ec_event postid-2560 samba_theme samba_left_nav samba_left_align samba_responsive wpb-js-composer js-comp-ver-5.0 vc_responsive"